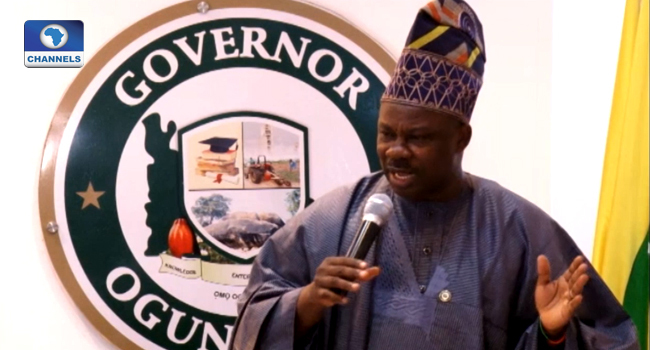 The Ogun State government says it has commenced the disbursement of 65 per cent of the last tranche of the Paris Club Refund to pay backlogs of cooperative deductions, gratuity, severance and furniture allowance of its workforce. Commissioner for Finance in the state, Mr Adewale Oshinowo, explained in a statement on Tuesday that this was 15 per cent above the threshold set by the Federal Government on the disbursement of refund to workers. He disclosed that the state government received the sum of N17.3 billion from the Federal Government, being its last tranche of the Paris Club Refund. “In line with the commitment of the Ibikunle Amosun administration to the welfare of workers in the state, their payment is being made a priority,” Oshinowo said. The commissioner recalled that the state government had pledged to offset the entitlements of workers and also scale up the infrastructural development of the state during a town hall meeting held recently in the state. He stressed that development was a fulfilment of the promise made to stakeholders across the 236 wards of the state. “It is also a testament that this government pays the highest salaries in the entire federation and has consistently paid workers’ salaries as due and when due,” he noted. The commissioner, who described the civil service as the engine room of government, promised that the state government would clear all other arrears once the finances of the state returned on an even keel.